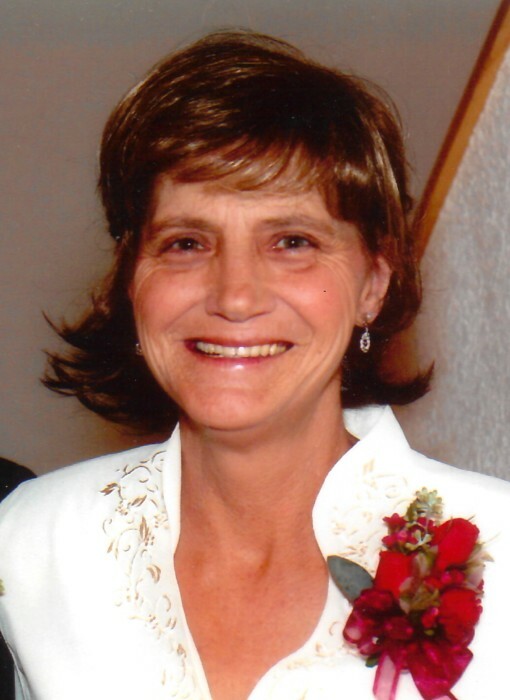 Paradise ~ Linda Sue Callaway, 63, went to be with our Lord Saturday, February 9, 2019 in Paradise. Funeral is 2:00 p.m. Thursday, February 14, 2019, at Hawkins Funeral Home Chapel with burial in Paradise Cemetery. Family will receive friends 6-8 p.m. Wednesday at Hawkins Funeral Home in Bridgeport. Rev. David Kelly will officiate. Pallbearers include, Toby Sides, Andy Taylor, Cody Deaton, Curt Plumley, Curtis Plumley, Dusty Sides, Mason Taylor and Stephen Gilmore and Brice Reaves. Honorary pallbearers are Jackie Sides, Billy Kemp and Earl Ferguson. Linda was born on September 8, 1955 to Raymond and Marilyn (May) Biegler in Hackensack, New Jersey. She was united in marriage to Thomas “Buddy” Callaway on May 13, 1981 in Decatur. Linda was a member of Golden Archies and Donate Life Organ Donor recipient. She was preceded in death by her grandson, Barrett Sides. Those left behind to cherish her memory are her husband, Buddy Callaway of Paradise; her daughters, Ginger Gilmore and husband Stephen of South Bend, Indiana, and Kim Taylor and husband Andy of Paradise; her son, Raymond Buell Callaway and wife Angela of Bridgeport; her daughter, Mary Sides and husband Toby of Paradise; her grandchildren, Alex, Gianna, Gizelle, Givette, Madyson, Matthew, Mason, Madden, Parker, Paisley and Heston; her parents, Raymond and Marilyn (May) Biegler of Hot Springs Village, Arkansas; her sisters, Allison Stiff and husband Larry of Fort Worth, and Leslie Ciaccio of Rockford, Illinois; numerous nieces, nephews, cousins, and a host of friends.